Saif Carpets: Helping Weave Dreams! Shabnam was married off in her childhood to Sohrab, who earned his living as a rickshaw-puller. Shabnam recalls living a poor life in a rented one-room house. Over time, their family grew and so did their state of poverty. Shabnam had seven children, of whom four died due to lack of proper medical treatment. Sohrab too, fell very sick, and was diagnosed with Tuberculosis. He became very weak and was unable to pull his rickshaw anymore, reducing them to a state of almost no income. Around this time, one of their children fell very sick, and Shabnam was afraid she might lose this child too. In her state of despair, she had to get out of her house to look for help and assistance. She wandered around for a long time looking around for help, and at last, finding none and in a state of dejection and tiredness, she sat down at the doorsteps of a company: Saif Carpets. The people at Saif Carpets, on seeing her state enquired about her condition, and on hearing her plight helped her with recommendation of a doctor who could care for her child. Thanks to the goodwill of the people at Saif Carpets and the doctor, Shabnam’s child was cared for and soon got well. Now, however, the challenge of fending for her family lay on Shabnam’s frail shoulders. She went to Saif Carpets again, seeking help, where she felt she would not be turned down. In fact, the people at Saif Carpets offered Shabnam a job, which she readily accepted. Not only that, the company undertook the responsibility of education for one of her children, paying all the school expenses incurred for the child. 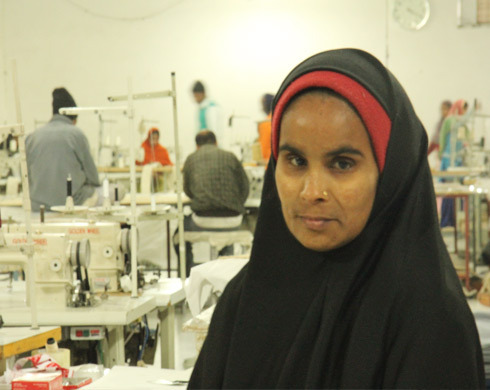 Over time, with Shabnam working at Saif Carpets, her family condition improved and they started having a better life. In fact, Shabnam could also start saving up money, in excess of the expenses of her family life. Today, Shabnam is working at Saif Carpets, a happy woman, with the dream of building her own house for her family with the money she is earning! Saif Carpets is truly a company that helps weave dreams! 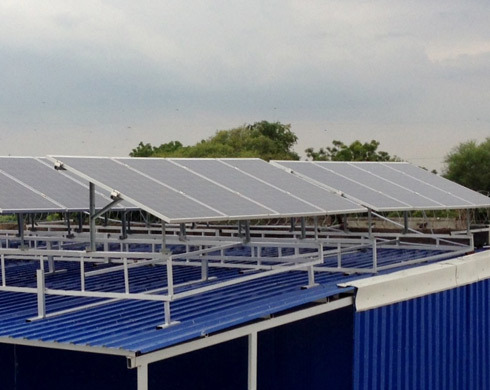 We focus on green environment and respect to the nature, In our production Unit and Packing units we are using Solar system to generate power. Solar is a renewable energy source that uses sunlight to create electricity. We are using 25 Kilo Watts of Solar Energy . With the Help of Solar energy, we are reducing the consumption of commercial electricity, and using good numbers of LED lighting in plants. Our production unit is 100% Dependant on Solar energy , all our Hand tufted weaving machines are being run using Solar Energy, The complete production unit is on LED lighting. Cut your electricity bills - Sunlight is free, so once you've paid for the initial installation, your electricity costs will be reduced. Cut your carbon footprint - Solar electricity is green renewable energy and doesn't release any harmful carbon dioxide or other pollutants. A typical home solar PV system could save over a tone of carbon dioxide per year – that's more than 30 tones over its lifetime.